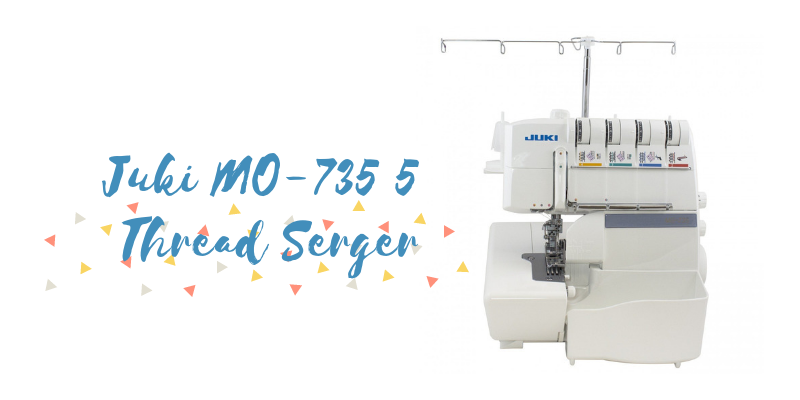 Juki MO-735 5 Thread Serger Review - Is This Product Any Good? How do you really determine which serger to opt for? Let’s figure that out! 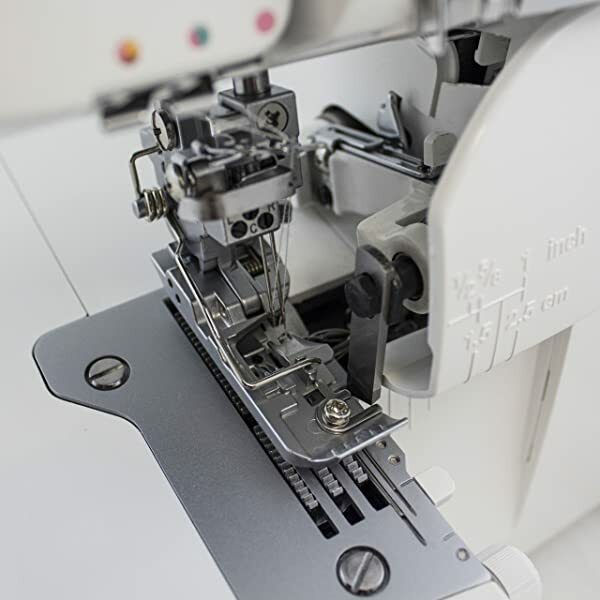 When searching for a serger, it is a smart decision to go for a machine that not only performs well but also provides you with long-term durability. 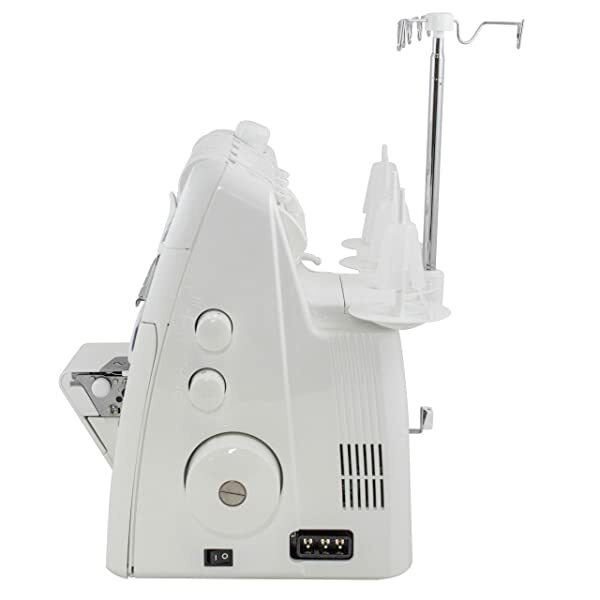 Go for a machine that gives you the freedom of enhancing your sewing abilities. Juki MO-735-5 provides the user with all these three qualities that you will be looking for. Due to this reason, this machine can be given serious consideration. However, apart from the performance of this unit, its durability, and its versatility, this serger also comes with exceptional features. Let’s take a look at this machine, its warranty, and its pros and cons. Juki has been manufacturing premium quality sewing machines for a long time now. In fact, they have been the leader of incorporating the latest advancements in industrial as well as household-based sewing machines since 1945. Juki’s first office was opened up in the United States in the year 1974. Due to their popularity with US craftsmen, they expanded themselves very rapidly. Today, Juki has a business in over 100 countries. This company is a very famous company, and their products are extremely advanced. 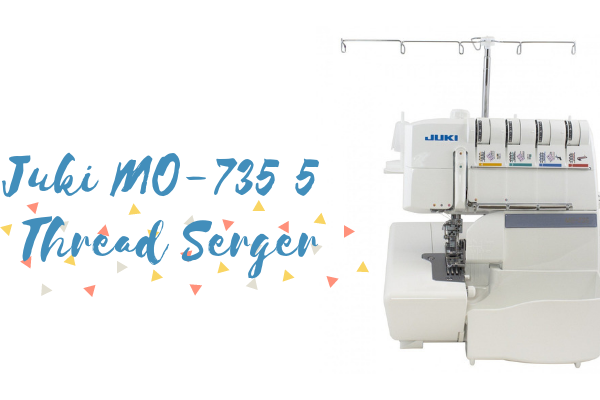 Also, due to this reason, you can expect nothing less from the Juki MO-735 5 thread serger. Juki comes with 24 stitching options and many different decorative styles. Also, with this product, you can create the latest sophisticated styles. You can also make adorable children wear, household fashions, stretchy activewear, and modern sportswear. Also due to the extraordinary features present on this machine, you can expand your sewing abilities and take it to a whole new level. 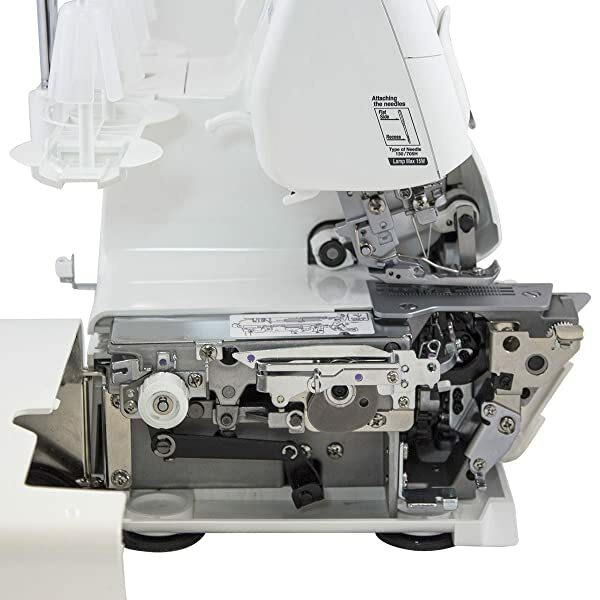 The cover stitch feature on this machine allows you to easily convert to cover stitch for serging and hemming in a single operation. This feature is perfect for hemming all types of garments including sweatshirts, shirts, decorative, and elastic seaming. This mode is used to create a very durable binding, seaming and decorative sewing on woven fabric. This machine can easily convert itself to chain stitch and even features an automatic chain looperthreader. 3 Thread Overlock with Chainstitch comes with narrow and wide overlocking capabilities along with two thread chain stitch. This helps in creating very professional seams. Also, the seams are also very secure. 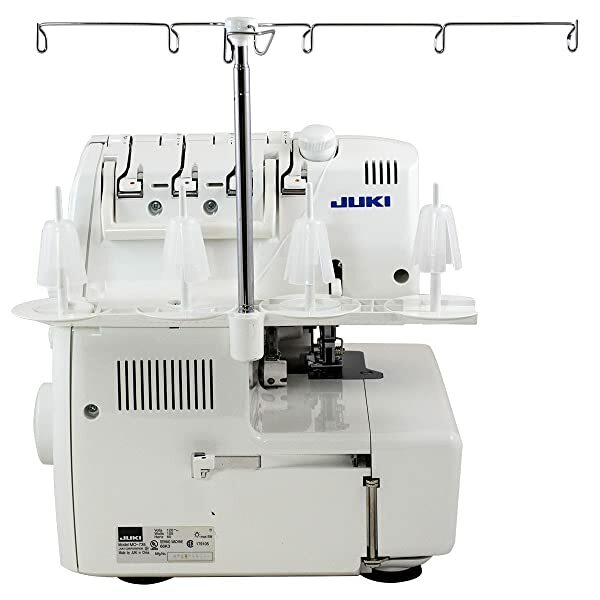 With this Juki machine, you can thread very quickly and easily. This machine allows you to do that in a snap. Simply push the button, and the chain looper will snap down, providing you with easy threading and complete access. This multipurpose presser foot which is a standard on the MO-735 allows you to create properly overlocked stitches. Also with this foot, you can also add elastic, tape, ribbon, and sequins to any and all of your creations. The snap-on presser feet mean that you can easily switch from the multi-purpose foot to Juki specialty feet. As a result, you can take your creative potential to a whole new level and at the same time, work easily. This extra-high front foot option allows you to handle many layers of fabric as well as thick fabric with ease. Also, the adjustable foot pressure dial allows you to increase or decrease the foot presser in order to handle any kind of fabric. The micro safety switches present on the side and front of the cover provide the user with extra safety while sewing. So if the machines covers are not open, then the machine will not sew. Juki MO 735 provides the user with incredibly fine edges that give it a professional touch. This is made possible due to this durable knife system present in this machine. At the same time, this knife system also provides very consistent and smooth cuts to fabrics having different thickness and textures. Also, one thing that this machine makes sure of is that you can efficiently and safely trim all edges of your garments. With the lower knife cutting, you can easily and very quickly adjust the width of your fabric by simply turning the dial. Create the perfect seams and rolled edges with the help of this feature. Moreover, while using this machine, you can create automatically rolled hemming by simply flipping a switch. There’s no need to change the foot or the needle plate. Just flip, and you are good to go. Also with the differential feed adjustment, you can keep things moving very evenly. This feature even allows you to create unique fashion techniques such as lettuce edges. 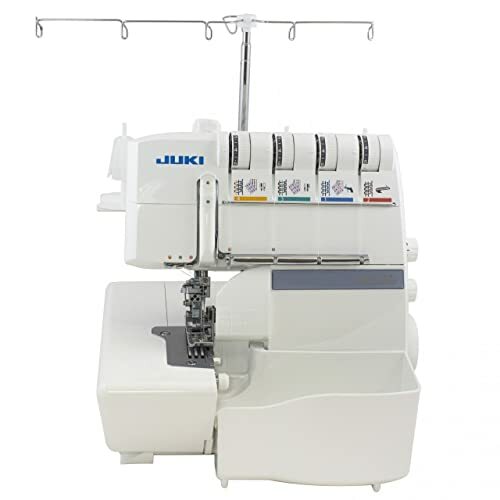 Juki also allows you to change the length of the stitches by the convenient dial located on the machine. 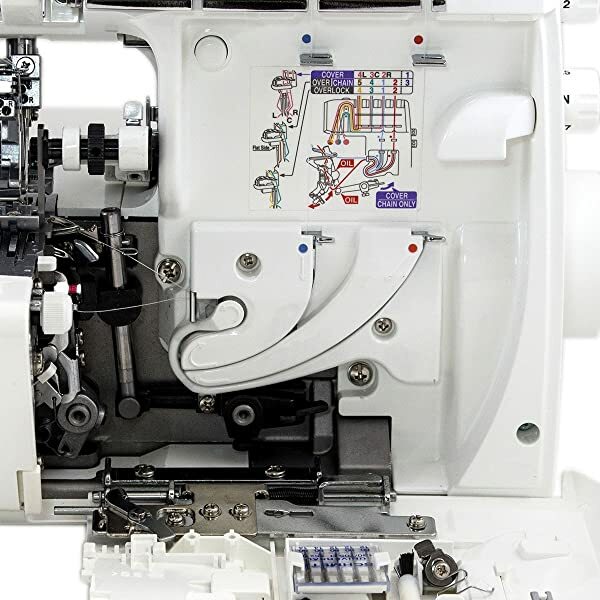 This Juki serger comes with a 2-year warranty on the electronic parts of the machine. These parts include the switches, wiring, speed control, and circuit boards. Moreover, this machine also has a 5-year warranty on all its other parts. However, these other parts do not include consumable parts such as the bulbs, lamps, needles, feed fogs, loopers, and belts. Also, a 90-day labor period present on the adjustment is provided on this machine if you purchase it from a Juki dealer. The lower looperthreader of this machine disengages very quickly providing you with easy and fast looper threading. The Juki M0-735 5 is a machine that proves its quality. This machine has all the features that all high-end machines have. It is fast, easy to use, and performs incredibly well. With so many different features, this machine provides you with ideal functionality. Investing in this machine is a very smart decision.